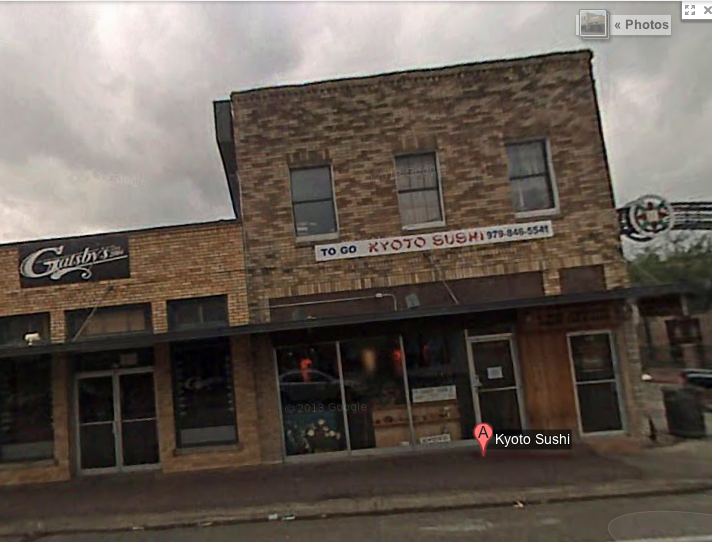 The former Ardan/Gattiland/Thunder Elite (and current Planet Fitness) as it stands today. This place in Bryan-College Station is best remembered (at least to me) as Gattiland, but the history of the building goes farther beyond that, and we'll start there instead. One of the more deceptively popular webpages that have hung around for years is DISCOUNT STORES OF THE '60S, a part of "David P. Johnson's House O' Retro", specializing in really bad 90's webpage clichés. Well, most of them are from the Midwest with names that disappeared decades ago and have virtually no familiarity to anyone living in Texas. Well, almost. 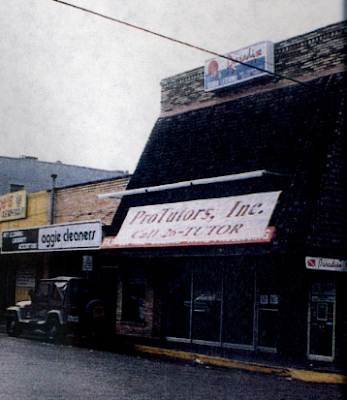 Around mid-way that first page, you'll see Ardan Catalog Showroom, which I originally believed we got in Bryan in the 1970s or late 1960s. According to a comment below, the Bryan store came in-line in 1980, which explains why the pre-1980s Newspapers.com showed nothing. 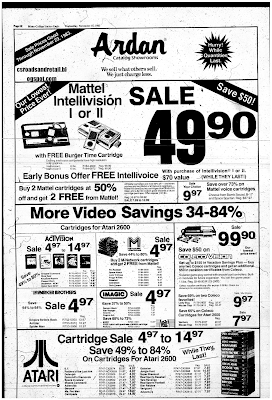 One of the ads Ardan ran locally, from November 1983. This, coincidentally, is a great example near the apex of when the video game industry crashed and retailers were forced to sell cartridges at low prices. 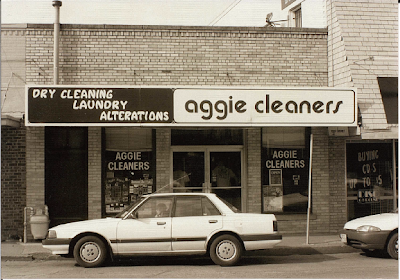 While I can't vouch for the name changes that the Des Moines branch experienced, nor can confirm or deny that this location featured a supermarket (update, it didn't), it did in fact exist in this location. 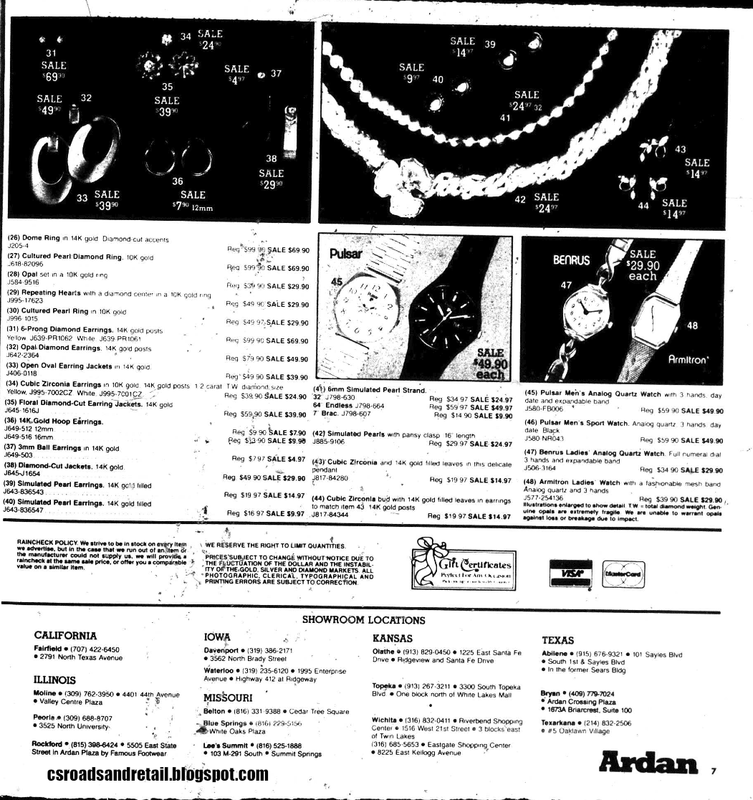 Ardan Catalog Showroom went out of business at some point in the late 1980s, presumably 1986 since evidence backs that up. Originally called "Ardan Crossing Plaza" (which shows that the Travis Landing name didn't come in until after Ardan Catalog Showroom bit the dust), but based on the references (or lack thereof) to University Square, I'm not even sure anymore. 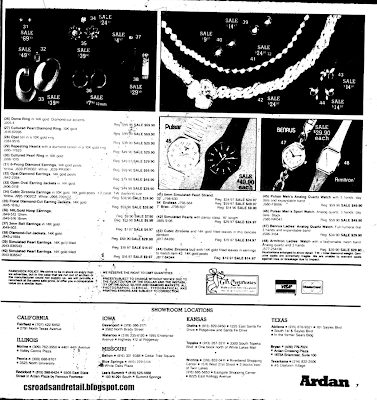 Ardan Catalog Showroom ad from 1985. Note the new logo, and that Des Moines isn't listed. By 1989 and heading into the early 1990s, the space (or at least part of it) became Rolling Thunder Skating Rink, a roller skating rink that lasted for a few years, and now we return to our story that began with Mr. Gatti's on Northgate, the opening of Gattiland in '96. I don't believe the rest of the old Ardan Catalog Showroom was EVER utilized again. 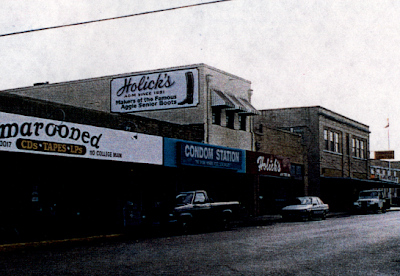 Some small tenants in the east part of the old store probably did come and go, but Gattiland did not cover the whole area. Gattiland was the place to have fun/birthday parties/etc. 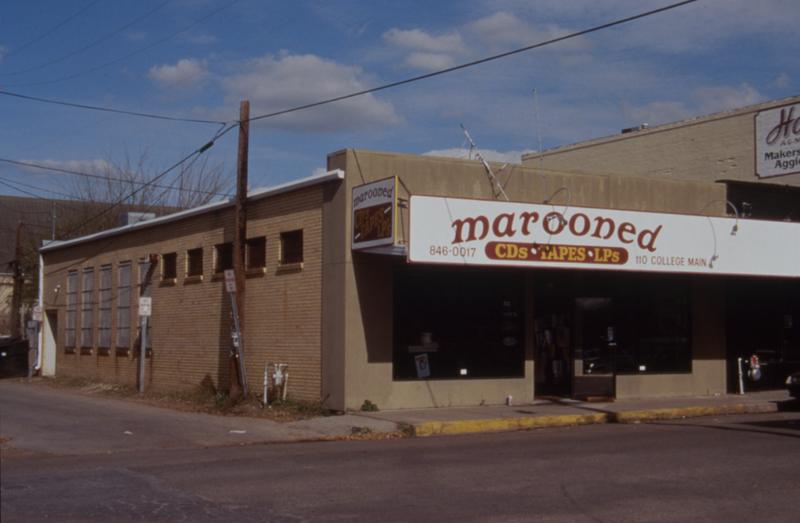 (as Pooh's Park was dead and gone by this time, leaving little but the sign) for anyone growing up in College Station between the late 1990s and early 2000s. Oh yes, it was definitely something: there was a large buffet and a regular eating area, the party rooms, a large room that showed Cartoon Network on a projection TV (remember, this was Cartoon Network of the late 1990s, which is still spoken of very highly), and the "Midway", which had the prize booth right as you went in. To the back was the bumper cars and a huge McDonald's Playplace-type playground, only larger (with one of those things you could grab and push off and it would slide down the metal rail: I don't know what it's called). There was also air hockey and tons of games, both redemption type games and arcade games (including several linked Daytona USA arcades). 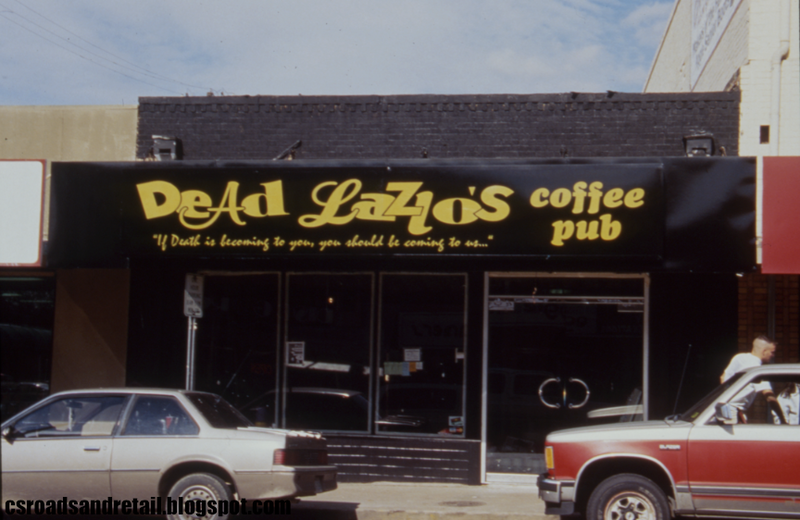 Unfortunately, I don't have any photos of the inside but I can remember most of it on the inside and could probably describe parts of it to you if asked nicely (it was the purple bumper car that was put in storage in the later years, for example). Well, it got really run down pretty quickly, and I remember hearing around in 2000 or so (at the time, of course) some hoodlums coming in one day and damaged a bunch of machines (some of them never worked quite right after that). By the time it moved, the playground was dismantled and a bunch of stuff didn't work. In 2003 it moved to College Station and renamed to Gattitown (which will continue here). 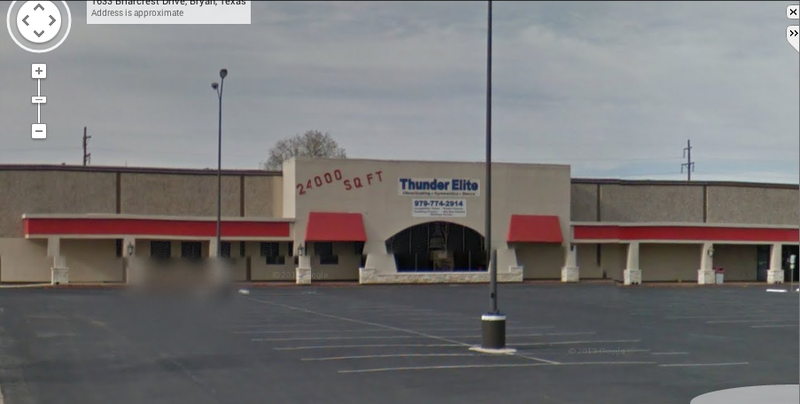 The building sat vacant, became "Thunder Elite", a kids gymnastics/cheerleading place for a while, too, though it eventually packed up and left as well (new location). 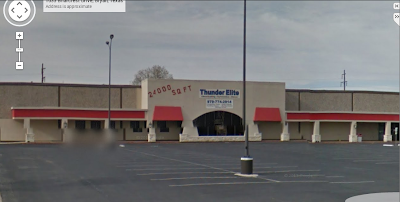 In mid-2014, the former Gattiland/Thunder Elite space became Planet Fitness, which prohibits grunting. It also gave part of the facade a purple paint job which didn't match the rest of the plaza.